Tucker & Maura Mornings on energy 95.3 - Not Virgins Anymore! I don't often write about Hamilton radio, but this one seems to have a Toronto slant. Back in November, 999 Virgin Radio cut their Tucker in the Morning with Maura Grierson morning show and replaced it with Virgin Mornings with Adam Wylde and TJ. 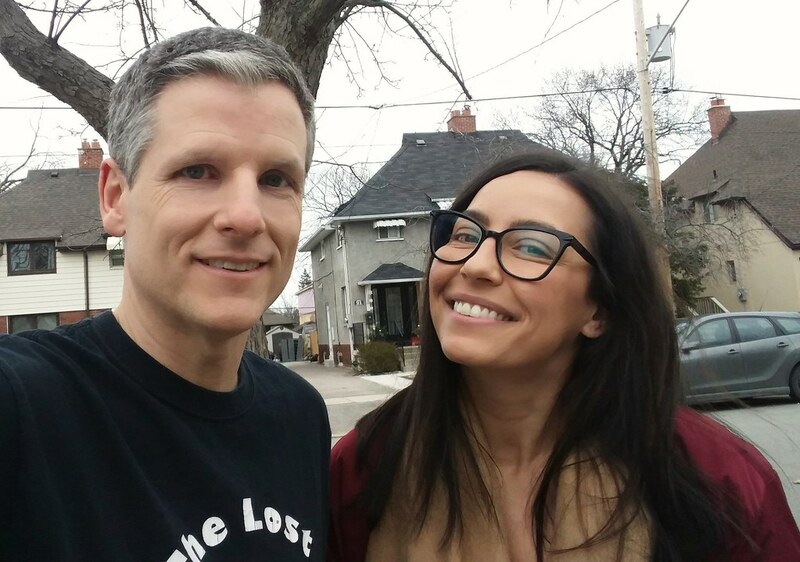 Meanwhile, over at Hamilton's 95.3 Fresh Radio, Corus turfed their morning show that featured Darrin Laidman and Colleen Rusholme. Today, 95.3 Fresh Radio rebranded as energy 95.3 and unveiled their new Tucker & Maura morning show. And here's a cheeky tease for the new show. And if you're a Colleen Rusholme fan like me, you'll be happy to see she's back on the station hosting the afternoon drive show from 2-6pm. 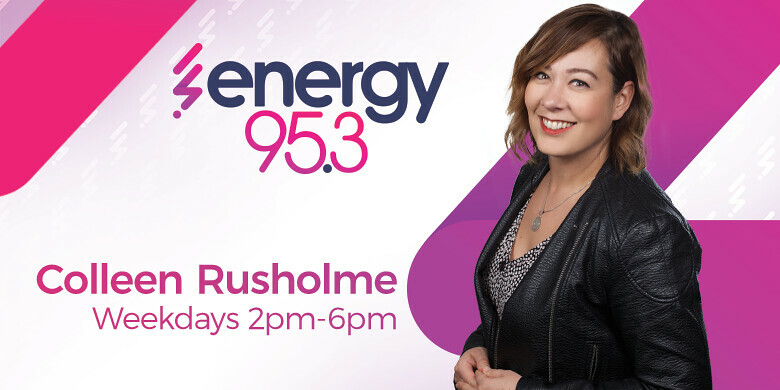 It seems Hamilton's new energy 95.3 will present itself as a Toronto station, fighting for a slice of the Virgin Radio / KiSS 92.5 / CHUM 104.5 / CHFI pie. I've written about the situation at JAZZ.FM91 many times, and have discussed it at length on Toronto Mike'd with such guests as Heather Bambrick, Mark Wigmore, Dani Elwell, Jaymz Bee, Bill King and Molly Johnson. JAZZ.FM91 has recently ratcheted up the rhetoric with regards to SAVE JAZZ FM's efforts to bring governance and operational changes to JAZZ.FM91. Below is a guest blog entry written by jazz musician and broadcaster Heather Bambrick in which she seeks to bring clarity to this conflict. Over the past 24 hours, I have received several messages from people - most of whom I don't know, but who know me from the station - asking for clarification regarding the battle for support in the current Jazz FM situation. With all of the correspondence being sent out by both sides, people want to know who the “good guys” are. This is NOT a hostile takeover. Donor members are, in effect, “shareholders” who are entitled to have a say in the body that governs the station. The current Board isn’t allowing them to do so. SAVE JAZZ FM is NOT a corporate conglomerate or a group being funded by “deep pockets”. They are a group of listeners and supporters who are simply concerned about the wellbeing of the station and want to affect positive change. The current Board has quietly appointed three new Directors just two weeks before the deadline to hold its annual general meeting. Members could have been asked to put forth nominees or at least vote on these new Board Directors before they took their seats at the table. However, the current Board chose to do this without any consultation or communication with donor members. Jazz FM achieved just over 50% of their last fundraising campaign goal, despite a two-day extension of the campaign. That clearly points to a body of donors reluctant to support this station. Many other arts organizations – including the TSO, Shaw Festival, Stratford Festival, National Ballet of Canada, and Massey Hall - post their financials via their website, in an act of accountability to its supporters. Jazz FM refuses to this and one has to wonder why. The fiscal year end was almost 6 months ago and there is still no sign of their financial statements. In June of 2018, seven employees / contractors were fired due to financial concerns, according to the station. Yet, in less than a year, nine new hosts have been hired. In light of the failure of the last campaign, one has to wonder how the previously cited financial concerns were alleviated allowing for the hiring of nine new hosts. Several new programs have been announced, but that doesn’t address the termination of beloved hosts such as Walter Venafro, Jaymz Bee, Mark Wigmore, and others. Similarly, the hiring of two new production staff doesn’t explain the termination of former morning show producer Billy Heaton. In March of 2018, I joined twelve of my former colleagues in presenting a letter to the Board of Directors of Jazz FM outlining our concerns over a toxic work environment that included bullying and sexual harassment. As of this writing, people about whom the allegations were made remain employed by the station, whereas each and every member of the group that brought forth the concerns was either terminated or resigned, unable to effectively function in the station’s continuing toxic work environment. The toxic environment at Jazz FM continues to this day, as is evidenced not only in the mass firing of seven individuals as mentioned above, but also in the further resignations of five key employees / contractors over the past nine months, two of whom are currently involved in lawsuits against Jazz FM for various alleged violations on the part of the station. Further anecdotal evidence by current employees paints a picture of a continued culture of fear and intimidation by senior management. Toronto’s music community is becoming fragmented with many musicians refusing to offer their talent in support of Jazz FM in its current state, and others worrying that working for Jazz FM will affect their reputations amongst their colleagues. This is not about creating new programming, Jazz safaris, or concert series. This is about a Board and management that refuses to demonstrate transparency, accountability, or even accept responsibility for the ongoing serious problems at the station they are supposed to govern. When those entrusted with the oversight and leadership of an organization refuse to lead, take action, take responsibility, or be forthcoming with their “stakeholders”, chronic negative elements remain and the organization is destined for failure. I strongly encourage you to complete the BLUE PROXY sent to you by SAVE JAZZ FM and return it to them by mail or e-mail (savejazzfm@gmail.com). And if you have any further questions, please don’t hesitate to contact me directly at heather@heatherbambrick.ca. Matt Gurney, host of The Exchange with Matt Gurney from 9am to noon on Global News Radio 640 Toronto, is no longer with the station. He's been "restructured" out. Here's what Matt tweeted earlier today. As of yesterday, I was told that, due to a restructuring, Global News, though very grateful for all my contributions, no longer required them. I was asked to not say anything until now, as other people were also being let go, and I was asked, simply as a gentleman, to allow that process to unfold. I was happy to grant that request. I don't know about any further impacts — turns out I'm off the email distribution list! Though I had less of an opportunity to work with my colleagues at the rest of Global News, I have huge admiration for the work those journalists do every day and have enjoyed my time with them. A great group of people, a great group of journalists. Good luck, Global News. I've also kept a few irons in a few fires, and I'll have more to say about those soon, after some, uhhh, "technicalities" are dealt with. But truly, don't worry about me. Our time as co-hosts was much shorter than I expected it to be, and if I have any regret for the last few years, it's that. Spending all morning talking with a close friend that you adore and admire and respect is a luxury for most people. For me, it was my frickin' job! 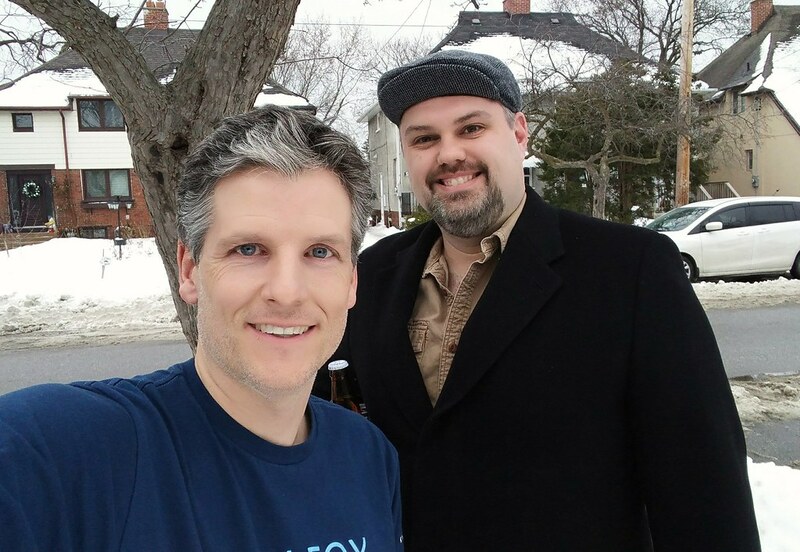 If you'd like to hear my 2+ hour deep dive with Matt Gurney, here's episode 299 of Toronto Mike'd. In February 2017, following the Dean Blundell disaster, Greg Brady returned to The Fan 590 morning show with Elliott Price and Hugh Burrill. Elliott Price was brand new to this market, having spent his entire career in Montreal. Less than two years later, Elliott Price is no longer at The Fan. Here's the official announcement from the man with the longest job title I've ever seen, Dave Cadeau. I would like to thank Elliott Price for his passion and dedication to Sportsnet 590 The Fan listeners over the past two years. An excellent broadcaster with an incredible sports acumen, Elliott delivered the news, interviews and insights that mattered most to Toronto sports fans every morning. This past Wednesday marked Elliott's final broadcast on Sportsnet's Starting Lineup, but we wish him all the best and thank him for all of his contributions to the station. Sportsnet 590 The FAN remains dedicated to delivering the engaging conversation and first-rate content our listeners have come to expect, and we look forward to exploring new approaches to sports talk in the morning. Greg Brady and Hugh Burrill will continue to anchor Sportsnet's Starting Lineup moving forward with further details about the show to be confirmed at a later date. Having relocated from Montreal for this gig, it's difficult not to feel bad for Elliott Price. Here's hoping there's a silver lining in this one for the guy. If you'd like to hear my two hour deep dive with Elliott about his career in Montreal and his decision to move to Toronto, here's episode 298 of Toronto Mike'd. Way back in March 2006 I wrote about Darryl Dahmer and Russ Holden. They were reporting traffic in helicopters above this city when I was a kid listening to 680 CFTR. I jokingly wondered if they might be the same person. Russ Holden retired in 2017 after 50 years at the same station, and today Darryl Dahmer called it a career after 45 years on Toronto Radio. Darryl could be heard on 680 from the 1970s until today. That's pretty remarkable. 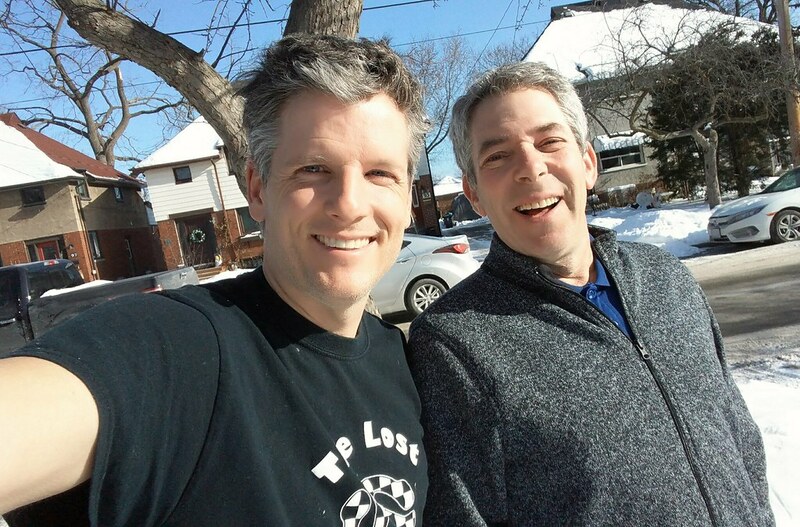 On Monday morning, for the first time in my life, Toronto radio will be without Darryl Dahmer and Russ Holden. 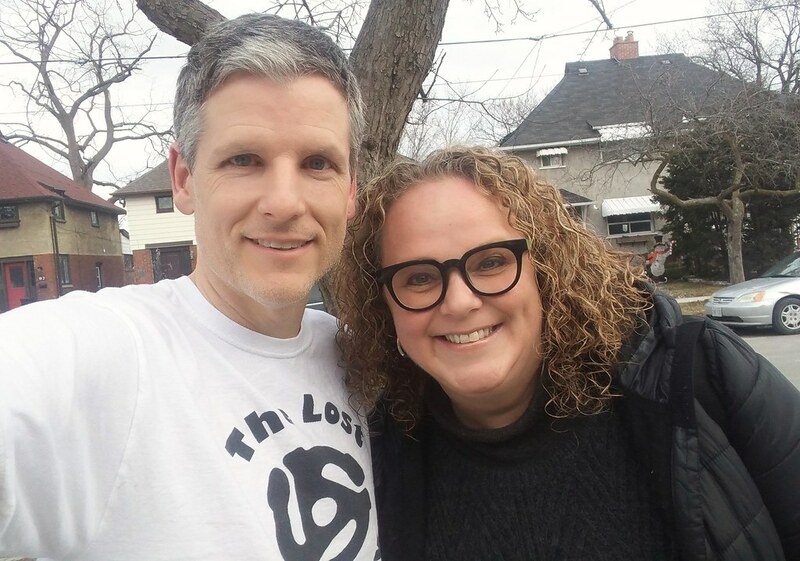 In this 423rd episode, Mike chats with jazz musician, broadcaster and voiceover actress Heather Bambrick about Newfoundland, music, the fall of JAZZ.FM91, the rise of JAZZCAST, and more. This episode is exactly 2:18:02. 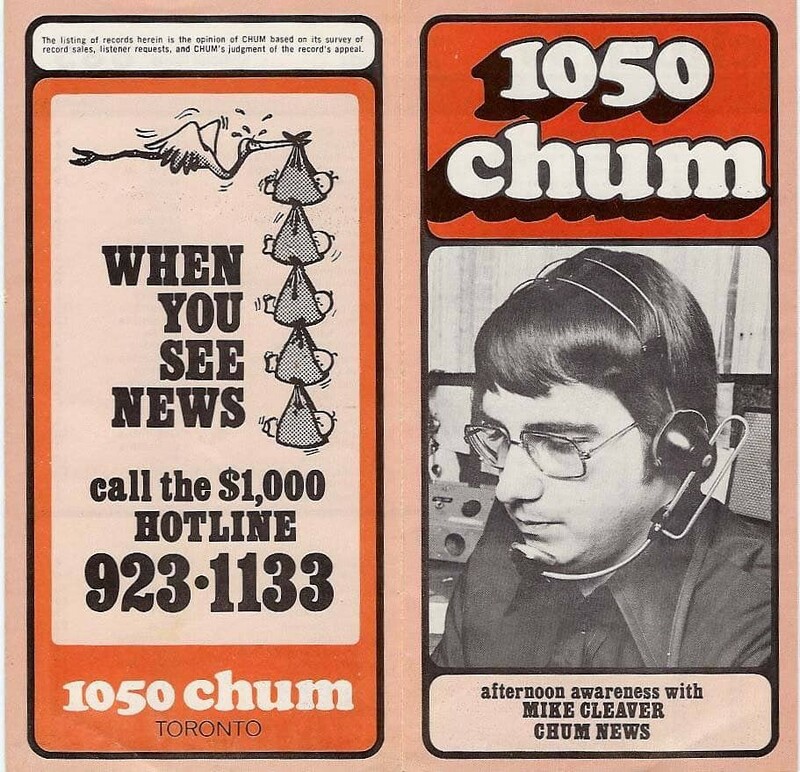 Brian "Henny" Henderson was on the air at 1050 CHUM for 27 years, from 1977 to 2004. In the 80s, I'd literally call a phone number in order to hear his excellent daily sports commentaries. I considered him, Rick Hodge, John Gallagher and Fred Patterson to be the four pillars of daily sports commentaries on the radio in this city. Several years ago, Henny left a comment on this blog. Here's what he shared with me us.